Nature over takes it, public cannot get to it. Monument is something man-made for the purpose of celebrating and/or commemorating a person or event, nature would reclaim it and hide it from the people and if it’s part of nature again it would no longer be a monument. Not doing anything would also add to the anti-monument because no one is actively participating in remembering or celebrating anything. 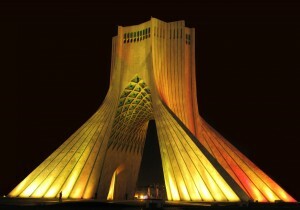 inaccessible to the public (it’s a place where celebrations, anniversaries, military parades and mass demonstrations are held, the tower has overlooked some of Iran’s most important political events).